Ten years. A decade. A lot can happen in 10 years. Ten years ago, the iPhone made its debut – now no one can remember how we lived WITHOUT smartphones. Blackberry and Nokia ruled the cell phone world, and if you were really cool you owned a Razr! Young people today can’t remember either of those names with a market dominated by iPhones and Galaxy’s. A decade ago was the last time the US men won a Major 4×1. Winning in Osaka against a Bolt/Powell lead squad 37.78 to 37.89 – Jamaica’s first sub 38! Believe it or not, that race was run with a substitute on anchor for the United States – that’s how dominant we once were. And yes, Jamaica ran an "A" team of Marvin Anderson, Usain Bolt, Nesta Carter, and Asafa Powell! Telling that to a young person today is like telling them that the Blackberry Bold was once the supreme cell phone on the market – huh! Oh, by the way, if that’s unbelievable enough, Bolt didn’t run the 100, and was third in the 200! Ah, but what a difference a year made. By Beijing, Double Worlds champion Tyson Gay was hobbled by injury and Bolt was WR holder in the 100. Bolt left the Games a double Olympic champion and double WR holder and Jamaica left with Olympic relay gold and a 37.10 WR – with Carter, Powell, and Bolt! The US failed to complete their semi and the streak began. Ten years of Jamaica atop the podium, the US struggling to complete handoffs. Our best finish since being a silver medal runner up behind a Jamaican WR in 2012, 36.84 to 37.04. We did get silver again in ’13 before going back to exchange issues in ’15/’16. Ten years of frustration, for what used to be the premier 4×1 squad on the planet. Yes, the world has gotten better. Seems like everyone is running 37s these days including China and Japan. Japan took silver in Rio ahead of the US before our disqualification! Yes, ten years of the world getting better, while we’ve continued to run in place – and fail to pass the baton adequately. London will be Usain Bolt’s final major 4×1 – possibly Powell’s as well if he can get placed on the team. Can the US send him out the way he came in – finishing behind an American victory? If there was ever the chance to do so, this could once again be it. For starters, no one seems to be running to form. Not Bolt, nor Powell. Not Gatlin, or Gay. Jamaica’s Yohan Blake has run the best of the "old guys" at 9.90/19.97. Neither Bolt nor Powell has broken 10sec – yet. Gatlin, at 9.95 is NOT the fastest American on the clock, though he did win Nationals. Where does all this lead us as we head into London? Well, the only thing to go on personnel wise are the results of both national championships. For Jamaica, no Bolt or Powell at nationals. Blake won with his 9.90 and Bolt has a bye as the defending World champion. Powell would be dependent on getting an exemption from his federation. Only Julian Forte among the other finalists at nationals has international relay experience. For the US, Gatlin was national champion, just ahead of World leader Christian Coleman – who did get relay experience in Rio. Following this pair were Chris Belcher and Jaylen Bacon. A pair of new comers that have run 9.93 & 10.00 respectively. Having watched both young men compete at both NCAAs and Nationals, I personally would run them on the relay in London. That said, the next question is, how to run them? You have only one vet in Gatlin.. I’d put him in the middle where he’s in control of two thirds of the exchanges. Plus he’s always excelled in the second leg of the backstretch. I believe in getting out front before the final left if possible. So I think I’d put Coleman on the third leg as he’s also a very good turn runner. Bacon is a big tall kid with solid top end speed. Belcher has a more complete open 100. Therefore I lead with Belcher and anchor Bacon – gonna bring home the bacon! The relay pool could have Ameer Webb, Isaiah Young, and Cameron Burrell – those would be my selections. Young, strong sprinters to back up the above. I could possibly consider Webb as anchor ahead of Bacon. Haven’t seen much of Bacon recently. Could also consider Burrell on lead off as he’s excellent out of the blocks. I do like the first group however and would give them the chance to perform. Can they beat Jamaica? I believe they can defeat what we’ve seen so far from the Jamaicans. Jamaica will anchor Bolt, but I’m not sure they have three sprinters that can get him close enough at the end – Blake can’t do it alone, and has been hurt yet again recently. Of course short relays are not solely about foot speed. 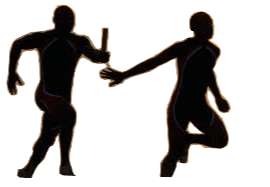 At the end of the day the baton must cross the line, and must have passed safely through the exchange zones. And the big issue for the US this past decade has been moving the baton. That’s one reason why I favor the youngsters, because all three I propose to run in London were solid runners on their college relay squads. They understand passing the stick, and I believe, in conjunction with Gatlin, will move the stick around the oval! Besides, regardless of what happens in London, the men’s 4×1 begins anew in 2019 (no Major in 2018) so we might as well get a jump start on the next generation. It would just be nice if they could start with a win over their predecessors! Finally, while the assumption is that the road to the top of the podium goes through Jamaica (and it does until they’re defeated) we must be wary of a few others. Canada is stronger than ever, and is lead by Andre deGrasse who would love to supplant Bolt as the next sprint king. Japan is fresh off a silver medal effort in Rio and would love to upgrade. Their passing is phenomenal. Mistakes by either the US or Jamaica and they secure the upset. Finally, the wild card could be South Africa. They’ve not run a race, yet as I write they’re hoping to be named to the relay pool. On paper, they could be the one’s to upset the apple cart. Jamaica’s the defending champion however. Until they’re toppled by anyone they’re the team to beat. After a decade they’re the Muhammad Ali of the relay world – an aging crew stepping into the ring one last time. Can they Rope a Dope the US into submission one final time? Or can we put together an effort that reaps gold after a decade? I’m betting that the US squad can run 37.28 and that that will be enough for gold. This entry was posted on Saturday, July 15th, 2017 at 2:39 pm, by CHill. You can follow any responses to this entry through the RSS 2.0 feed. You can leave a response, or trackback from your own site.